Companies go to great lengths to avoid faults in their products. We went to great lengths to create one. Monteith’s wanted drinkers to know that their cider contains fresh fruit, not concentrated fruit syrup like their competitors. 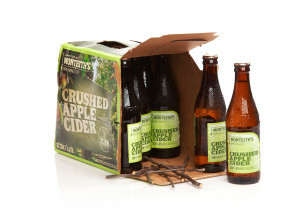 So we slipped real apple tree twigs into Monteith’s cider boxes. Within a week, New Zealanders were asking for an explanation via facebook, radio and the Monteith’s call centre. After two weeks, we apologised for the ‘mistake’ through PR, press, patched billboards and on-pack stickers. 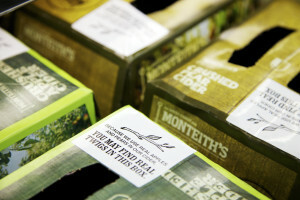 Every apology spread our simple message: the fruit in Monteith’s cider comes from a tree, not a can.